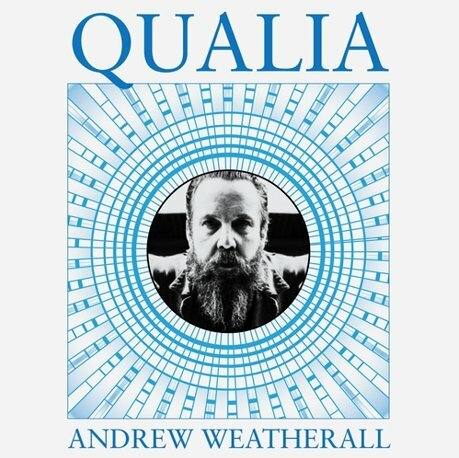 Mr Weatherall’s latest album is out now on P-Vine Records (Japan) and Hoga Nord Rekords (rest of the world). Listen to the opening track ‘Evidence The Enemy’ via The Quietus and ‘Spreads A Haze (And A Glory)’ via XLR8R and you can order direct: double LP or cassette or CD the album is also available for download/streaming. ‘A Love From Outer Space’ returns to The Berkley Suite and what better way to start a bank holiday weekend? 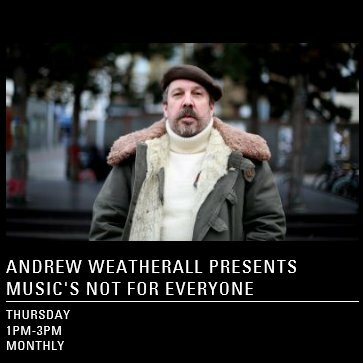 ALFOS is preceded by a free Music’s Not For Everyone show with Andrew Weatherall and Marc Sts Donachy from 8pm. Tickets cost £10 +b/f and you can buy them here. 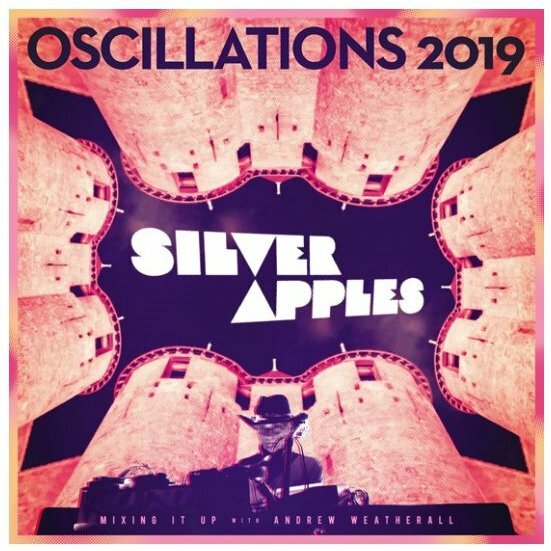 Andrew’s remix of ‘The Edge of Wonder’ (from the last album ‘Clinging to a Dream’) backs Simeon’s new studio-recorded, upgraded and augmented version of the 1968 classic ‘Oscillations’ by Silver Apples. The EP is released on Record Store Day, 13th April, more info here. 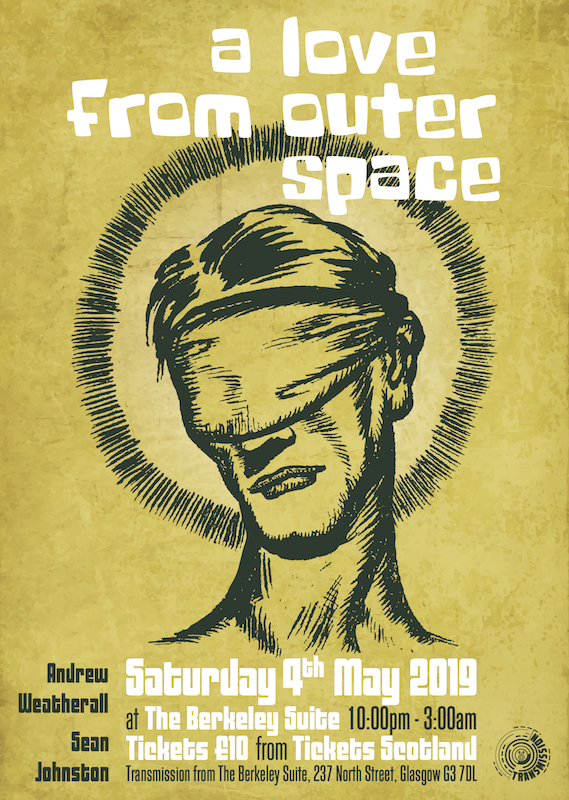 Andrew’s track ‘Cosmonautrix’ appears on the CD and download versions of the forthcoming album celebrating twenty years of Rocket Girl. He’s in good company with arists such as Füxa, God is an Astronaut, Silver Apples and Television Personalities supplying exclusive tracks. 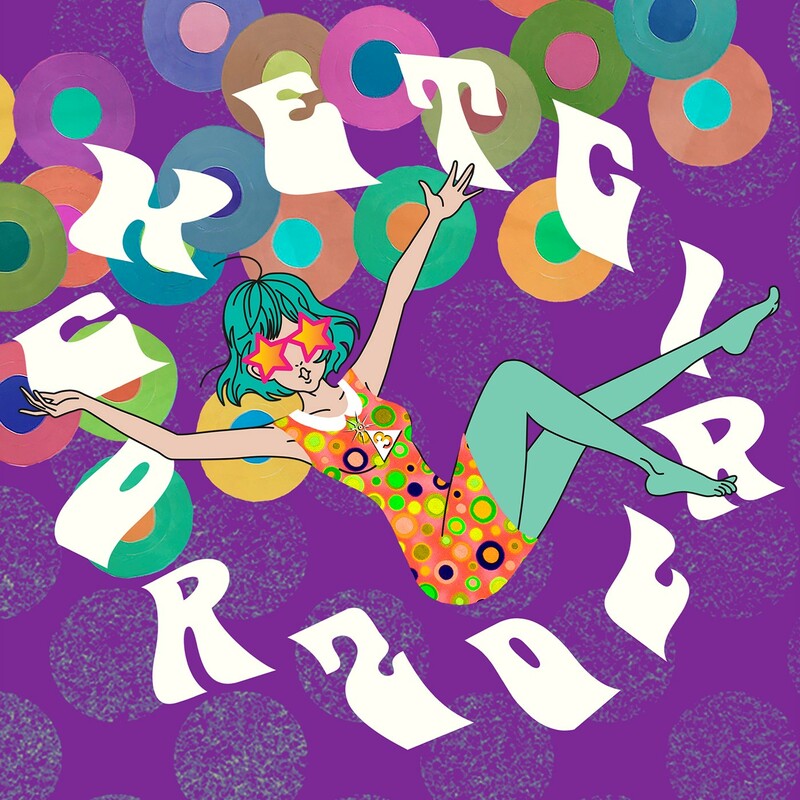 The release date is 1st March and you can find more info on the Rocket Girl website. Hopefully you’ve managed to catch Andrew’s shows on NTS, if not then past shows are archived here. The shows are every four weeks and on air live from 1-3pm (UK) forthcoming shows are March 28th, April 25th and May 23rd. You can listen live online here.